An 11-year-old Caucasian boy is referred by his primary care physician mother for nasal congestion and runny nose for years. His symptoms are not getting worse, but they are persistent. He was on fluticasone (Flonase) in the past off and on with history of noncompliance and he did not feel that Flonase helped significantly. Approximately two months ago, he started to complain of shortness of breath, dyspnea on exertion and cough. The symptoms start approximately 15 to 20 minutes after he starts exercising, and they resolve after he stops exercising. He has no night symptoms. He has symptoms throughout the year with worse nasal congestion in August and September. Montelukast (Singulair) 5 mg po daily. He is not exposed to tobacco. Pets: He has a hamster and a dog. The dog is a golden retriever. Mother and father with allergic rhinitis, siblings with allergic rhinitis and atopic eczema. Thin boy in no apparent distress. Vital signs stable. Temperature 98.8 F, heart rate 80 bpm, respiratory rate 18, blood pressure 110/60 mm/Hg. Nose: Pale, boggy turbinates. Throat: Normal. Respiratory system: Clear to auscultation bilaterally, no wheezing, rhonchi or crackles. Cardiovascular system: Clear S1, S2. Abdomen: Soft, non-tender, non-distended. Extremities: No cyanosis, clubbing, or edema. Skin prick testing was done with a positive reaction to histamine. 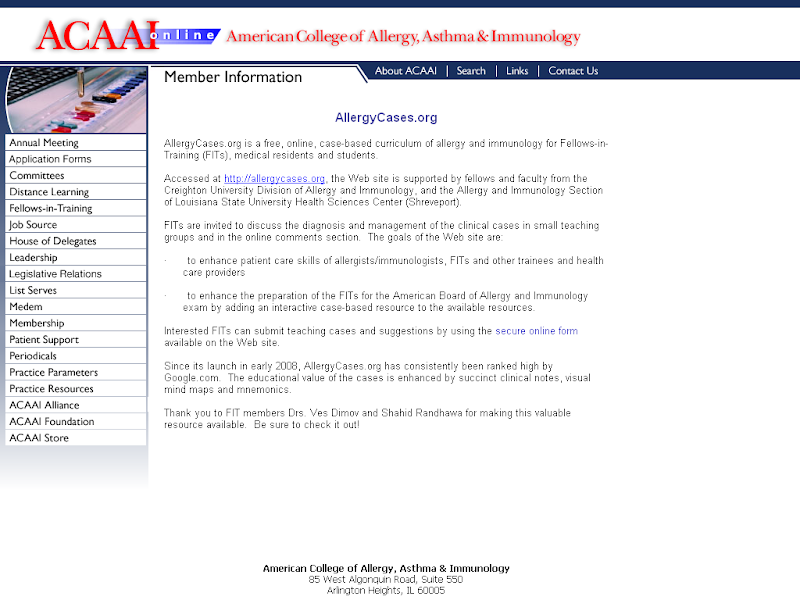 All other allergens in the pediatric allergy panel were negative. The baseline spirometry revealed a FVC of 80% and a FEV1 of 75%. What tests would you suggest next? We a performed bronchodilator test with 4 puffs of albuterol and the patient’s values improved greatly. His FEV1 improved by 24% from 1.45 liters to 1.81 liters, which satisfied the criteria for positive bronchodilator test for asthma. His FVC improved by 14% and his FEF-25-75% volumes improved by 56%. This is a patient with asthma with symptoms of exercise-induced bronchospasm and the diagnosis was confirmed by a 24% improvement in FEV1 on the bronchodilator test. We prescribed fluticasone (Flovent Diskus) 100 mcg, one inhalation b.i.d. He has also symptoms of allergic/ non-allergic rhinitis and for that, we prescribed budesonide (Rhinocort) nasal spray one spray in each nostril daily. He is to follow up with us in two months. Asthma with symptoms of exercise-induced bronchospasm. Allergic and non-allergic rhinitis. Most patients with asthma have rhinitis suggesting the concept of ‘one airway one disease’ or ‘united airways’. Most patients with allergic or nonallergic asthma present with rhinitis symptoms. However, not all patients with rhinitis present with asthma. Many patients with allergic rhinitis have an increased bronchial reactivity to methacholine. Childhood allergic rhinitis is associated with a 2- to 7-fold increased risk of asthma in preadolescence, adolescence, or adult life. On average, childhood allergic rhinitis was associated with a 3-fold increased risk of childhood asthma persisting compared with remitting by middle age. Asthma burden in later life might be reduced by more aggressive treatment of allergic rhinitis in early life. It is not clear if treatment of one airway will improve symptoms of the other site. Childhood allergic rhinitis predicts asthma incidence and persistence to middle age: A longitudinal study. J Allergy Clin Immunol. 2007 Sep 6. Rhinitis is common in asthma and impairs asthma control. Allergy. 2011. What symptom works best for diagnosis of allergic rhinitis? The answer has been the same for years: eye itching (http://goo.gl/koioJ). Glad you find the website useful, Juan. You can contribute as well. Please follow the guidelines. You do not start a patient on combination therapy (e.g. Advair). Most children will respond very well to an inhaled corticosteroid alone. This case will send out the wrong message that combination devices should be used first line. Please disregard the last comment. I must have misread the case. I had read Advair, but the patient had been appropriately started on an inhaled corticosteroid alone.